We don’t eat out much at the beginning of the week but this was too tempting. A pop-up in Cornercopia and their USP is rissoles. The Pickled Fork settles every Tuesday in the same spot and provides a simple array of salad and rissoles with real ale. Rissoles according to Wikipedia are small croquettes enclosed in pastry or rolled in breadcrumbs, usually baked or deep fried. They are filled with sweet or savoury ingredients, most often minced meat or fish and is served as an entrée, main course, dessert or side dish. They are served all over the world and now in Brixton Village. At 7.00pm the restaurant is not full so make your way further back in the Village to get a seat fast and taste these little beauties. The menu is simple – its Moo, Baa, Oink or for the vegetarians Roots and Shoots. They are all accompanied by a different salad with a different dressing. There are two sides -aubergine fritters with peppermint yoghourt or sweet potato fries with pickled chilli mayo. We just ordered the lot …. although this may not be appropriate for anyone on a diet. 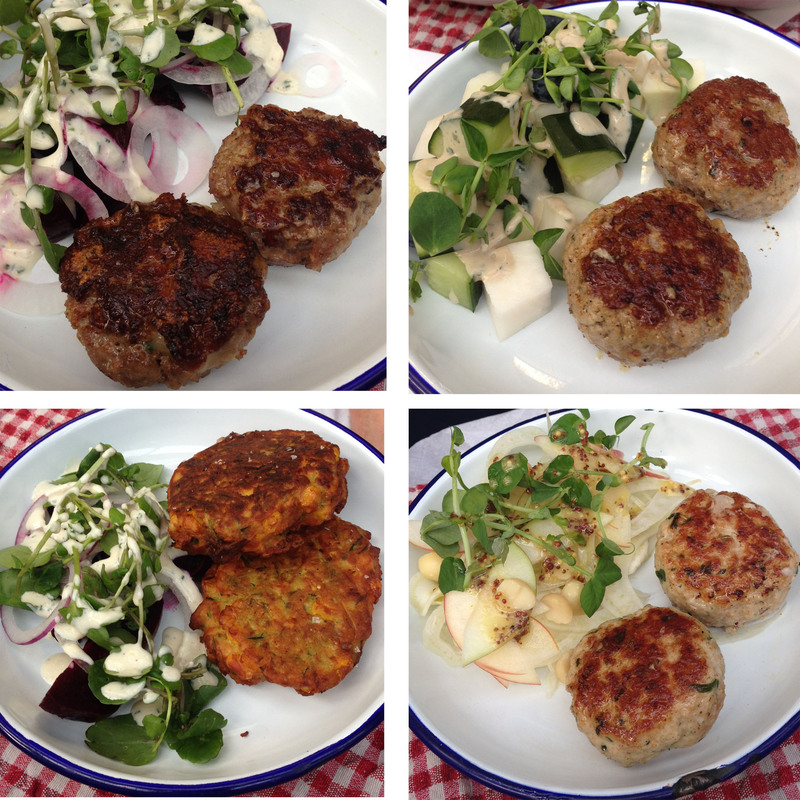 Our favourite for both the rissole and the salad was the beef, cheddar and home smoked bacon version which was moist and easy to cut and went really well with the Pickled plot beetroot, watercress and white onion salad with a faint Beenleigh blue cheese dressing. Next best was the lamb and rosemary, which was very fragrant and came with kohlrabi, cucumber and blueberry salad with gentleman’s relish dressing. Joint third or fourth were the Pork and Fennel seed and the Courgette and Sweetcorn fritter but for completely different reasons. The pork needed a bit more salt and was very dense and the fritter was a little underdone. But this is really hair-splitting as they were all good but having everything on the menu meant we couldn’t really concentrate on any one – it was a close call for placement. The sweet potato fires were hot from the grill and the chilli may did not cool them down so beware of fingers and throats. The peppermint yoghourt for the aubergine fritters was definitely minty and came into its own when the chilli may became too much to handle. We were absolutely full but decided to take the adventure to the cup of crumble, poached and raw fruit and ice cream. It was peaches and the crumble was a sweet oaty granola. At the bottom there were two generous portions of ice cream and even though we shared we couldn’t finish it all. 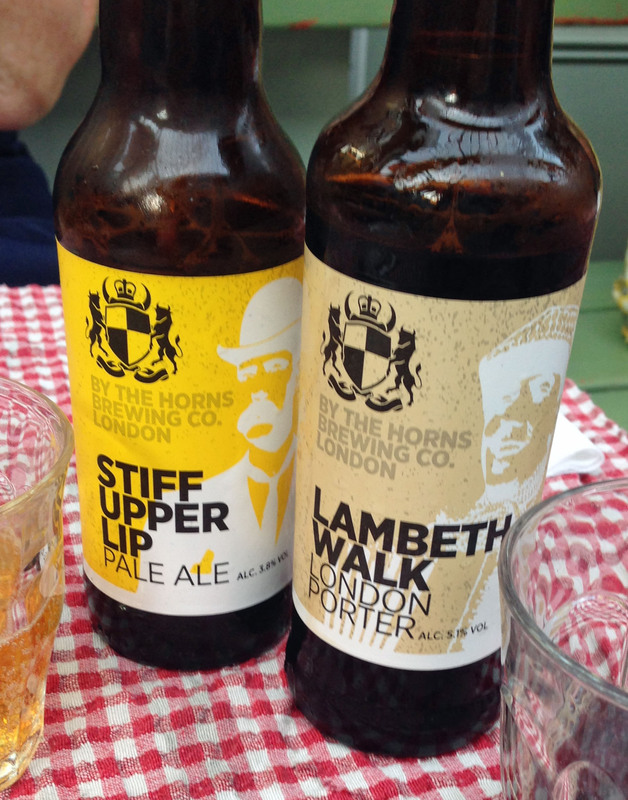 We washed all this down with a real ales – Stiff Upper Lip which is a pale ale and Lambeth Walk which is a traditional porter, so dark and flavoursome. 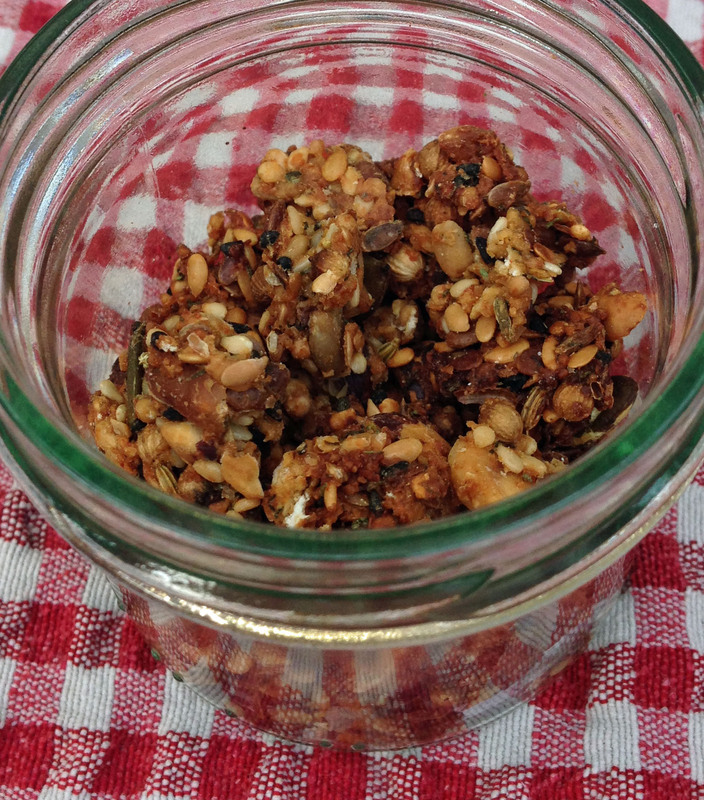 These came first and we sipped them with the chef’s own homemade savoury granola. He sticks it together with egg white not sugar. It had some coriander seeds and a faint taste of chili and kept us guessing the ingredients until the food arrived. The whole meal, which was really too much for the two of us, came to £48.40 including service. Each basic dish is £5.00 and is definitely enough for dinner, if you are not too hungry.